You’ve been building up your crowdfunding campaign’s profile through word of mouth, email marketing, posters and leaflets, social media and events – so far, so good – and now you want to get the press involved. 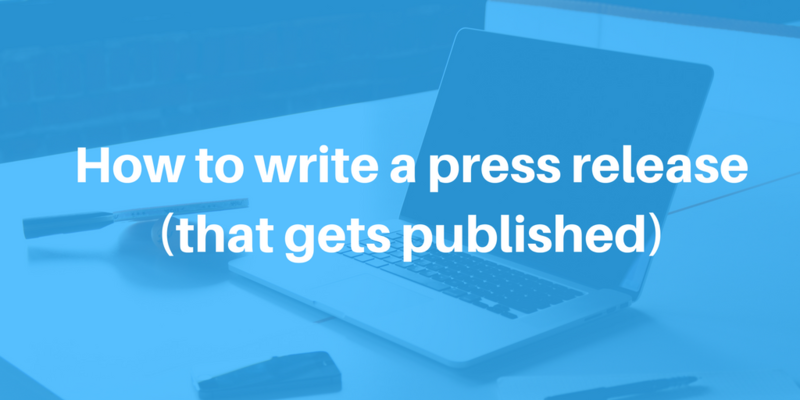 The best way to do this is by writing a killer press release, which doesn’t have to be as difficult as you think. Follow our guide below to putting together your pitch, check out our template for inspiration and once it’s ready to go, check out our seven step plan to approaching the press here. This is not the time to play hard to get – your headline needs to shout out loud and clear what your story is. Leave clever headlines to the editors and use your headline to explicitly state the key information. The first thing to figure out is why would people be interested in your story? Running a crowdfunding campaign in and of itself isn’t enough to get a story published – your story has to offer excitement (a quirky project like a giant water slide or a celebrity endorsement), stats (is this the biggest, fastest, most backers), human interest (what inspired you, what obstacles have you overcome..) or impact (what difference is your project going to make to the area – new job opportunities, increase house prices, include different aspects of the community). With local press, often it’s the community element that is most important. Once you find your angle you can start putting together your pitch. A high-resolution image – make the journalist’s job as easy as possible by including photos that capture your story whether it’s of the team, the project area or of a community event which highlights people’s interest. Contact info – include the contact details for the person who can answer any queries, be interviewed if necessary and who will be able to sign off any quotes or the piece itself. Download our template here to get started. Once you’ve got your press release ready then check out our guide to contacting the media here and discover some of our project press stories here.